Give your glove the perfect pocket! 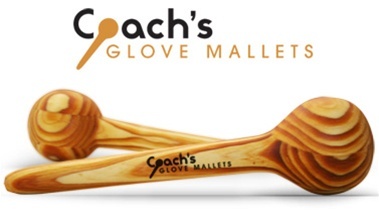 The Coach's Glove Mallet (CGM) is a solid wood, handcrafted mallet used to help break in and establish the Perfect Catching Pocket in a new baseball/softball glove. It can also help protect and maintain the existing pocket in an established glove. The CGM is designed to perform both these critical tasks by allowing the player to simulate hundreds of catches in a fraction of the time. A properly fitted glove with a well established catching pocket becomes an extension of the ball player's hand and improves the confidence level to make the routine and difficult defensive play. It will also help provide a smooth and confident transfer of the ball from the glove to the throwing hand. The idea behind the CGM is to replicate the repeated amount of catches it takes to break in a new baseball glove. For those that have tried to break in a baseball/softball glove know it is not an easy task. The beginning of the break-in process is critical to the glove's memory and pocket development. The CGM helps you to develop the perfect pocket and develop it quickly. The Glove Mallet is available in baseball and softball models. 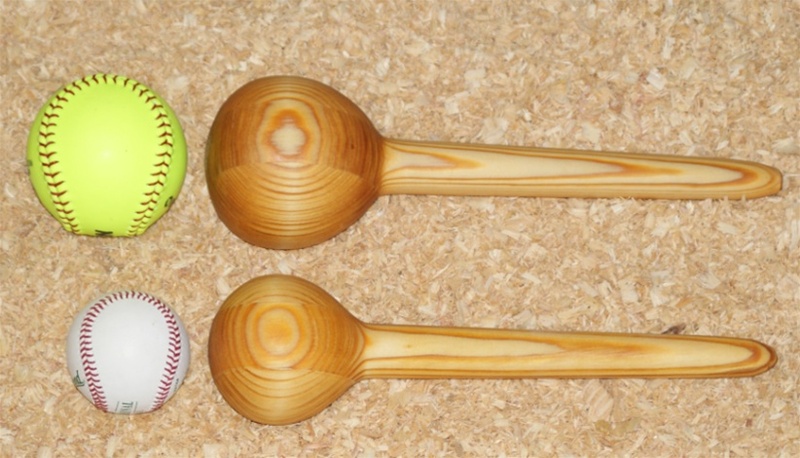 The head of the baseball mallet is approximately 3 inches in diameter and is slightly larger than a regulation baseball. The head of the softball mallet is approximately 4 inches in diameter and is slightly larger than a 12 inch regulation softball. 1. Rub in a few drops of glove oil. 2. Strike the pocket of the glove 10-12 times. 3. Work to shape glove by bending fingers and thumb forward toward the pocket. 5. Wrap glove around mallet head after use. "Got the mallet and it is a fantastic piece of craftsmanship. Thank you for the great product." – S.L. in Fairfax, VA.